MDC Alliance parliamentary candidate for Chivi Central in the just ended elections, Henry Chivhanga is living in fear after he woke up to a dreadful sight of bullet casings dumped at his home in Masvingo. This happened early yesterday morning, Sunday August 5, at Chivhanga's house in Takazvivakira St in Majange. Masvingo provincial police spokesperson, Inspector Charity Mazula said she had not received the report although Chivhanga maintains he reported the matter at Chesvingo Police Base near Yeukai Shopping Centre. "My wife woke up in the morning to do her chores and was horrified to see bullet casings outside the door. We are law-abiding people who don't deserve this. We hope the police will swiftly do their work and bring the perpetrators to book," said Chivhanga in a phone interview. Earlier on, Chivhanga had taken to Twitter about the incident, writing that he was at a police station reporting the matter. "My name is Henry Chivhanga, and I was the @MDCAllianceZW candidate for Chivi Central constituency. My wife just found bullet casings outside our door. I am at the police making a report right now. Maybe this was some sort of warning?" reads the tweet, which was accompanied by a picture of eight bullet casing on a silver foil. A follow up tweet reads, "We made our police report. Ref 8715/18. Thank you to all who are praying for us and our safety. In God we put our hope and trust. We go to sleep tonight hoping that whoever planted the bullet casings will not come back to 'finish' what he/she started. Pray for Zimbabwe." The incident comes as other opposition members and supporters have alleged victimisation which includes intimidation, beatings and abduction by suspected State security agents. 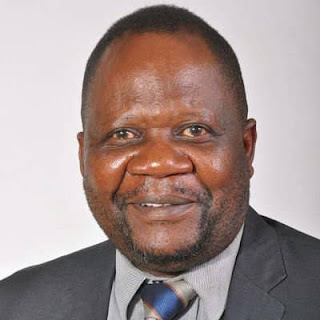 Chivhanga lost the race for the Chivi Central parliamentary seat to Zanu PF's Ephraim Gwanongodza.